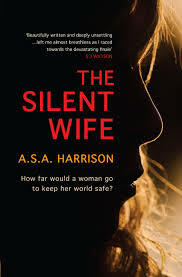 Nicole Kidman will star in and produce an adaptation of The Silent Wife, the summer literary breakout novel by A.S.A. Harrison. Mazur/Kaplan partners Paula Mazur and Mitchell Kaplan have teamed with Kidman and Per Saari’s Blossom Films to option the psychological thriller and produce. Mazur/Kaplan will fund development. Kidman stars with Colin Firth in The Railway Man, the film that premiered at Toronto and was bought there by The Weinstein Company for 2014 release. She stars as Grace Kelly in Grace Of Monaco, the period drama that TWC recently moved to 2014 and she recently became attached to play Gertrude Bell in the Werner Herzog-directed Queen Of The Desert. She’ll play Bell, the iconic explorer, writer, archeologist and attaché for the British Empire who is credited with helping to catalyze the formation of the Middle East at the dawn of the 20th century. As for Blossom Films, its first film was Rabbit Hole, which got Kidman an Oscar nomination, and they are developing the David Lindsay-Abaire-scripted The Family Fang, Reconstructing Amelia for HBO, The Eighth Wonder at Fox andLittle Bee for BBC Films among others.